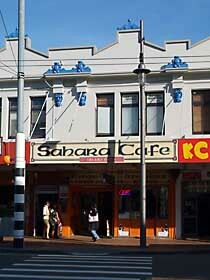 My photography studio is located at 37 Courtenay Place, Wellington, upstairs from the Sahara and Cha restaurants and opposite Allen St and the BNZ bank. I've been here since 1998, but the 1st floor has a history of housing photography studios; O'Neill's Photographics from the1960s to early 90s, and Boyer & Robson's 'Courtenay Studios' from 1920 to 1932. Passport photos are my specialty, as are visa and ID photos. Often these can be done on a walk-in basis, but if you're making a special trip, let me know you're coming because sometimes I'm busy or unavailable. The photos can be printed and/or emailed straight away. Pay by Eftpos, Visa, Mastercard, cash. See my availability for walk-ins. Photographs of paintings and other artworks for catalogues, awards entry, insurance and other recording is also a specialty, as is copying old photographs for display, digital storage and preservation purposes. Photos can be repaired and made clearer by Photoshop techniques and printed up for framing. There is a good size studio for general commercial photography, portraits, etc, and the studio is available for hire. You can also visit Photospace Gallery and Gilberd Marriott Gallery while you're here. Photographs and other artworks by leading and emerging NZ artists are shown in frequently changing exhibitions, and are available for sale. For the best passport photos in town! 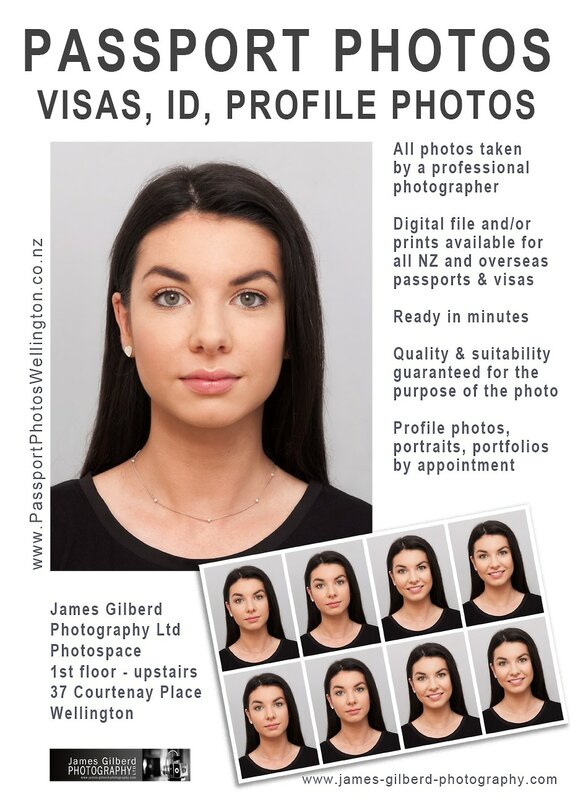 You're going to be stuck with your New Zealand passport photo for the next 10 years, so it makes sense to get a good photo that you're happy with. I am a professional photographer and also a specialist in passport and visa photos. I use good lighting and a pro camera, and I take care to make good-looking photos for around the same price as most other providers that are not trained, experienced photographers. Most photos are $20.